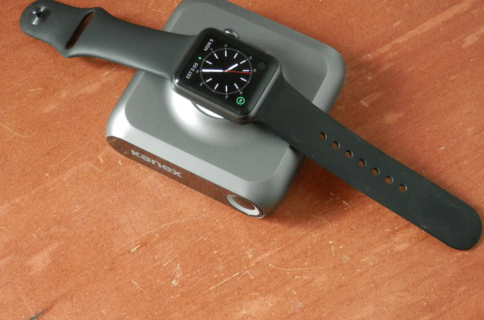 When you’re a proud owner of both an iPhone and an Apple Watch, you might feel reluctant to have two separate charging docks, each with their own separate wires running across your desk to keep them charged. 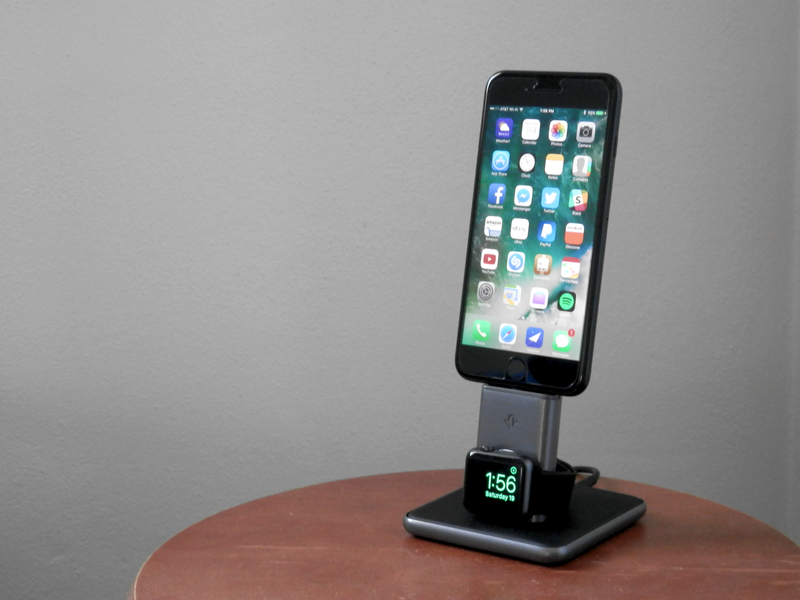 Fortunately, Twelve South has you covered with their all new HiRise Duet charging platform, which not only gives you a place to charge your iPhone upright, but also provides an integrated charging disc for your Apple Watch. If it looks familiar, that’s probably because the platform is based off of the HiRise 2 dock we showed you in September. 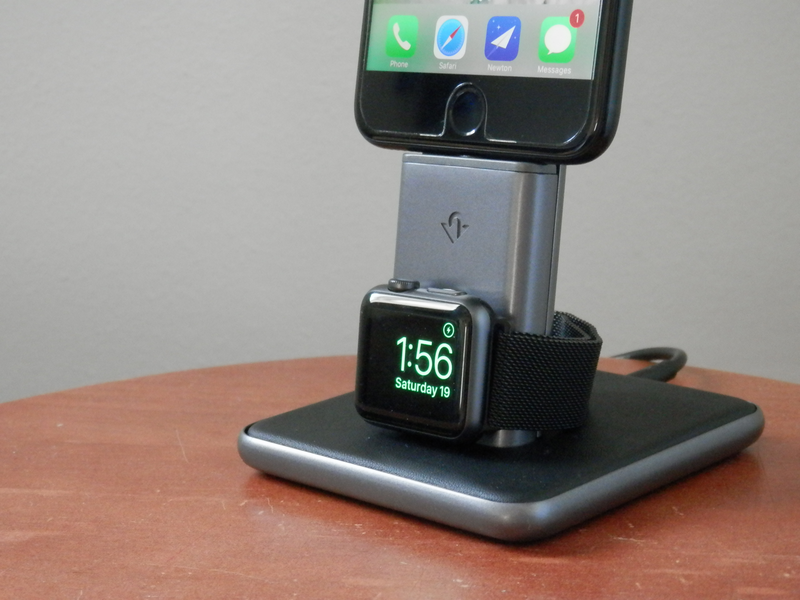 It’s essentially the same in terms of an iPhone dock, but it has been upgraded with a way to charge your Apple Watch in Nightstand Mode. HiRise Duet is made a little differently than the HiRise 2, and this is where the more luxurious features come into play. The dock is accented with Napa leather, which looks great and feels great. It’s also compatible with a number of aftermarket iPhone cases because the rear support is fully adjustable. 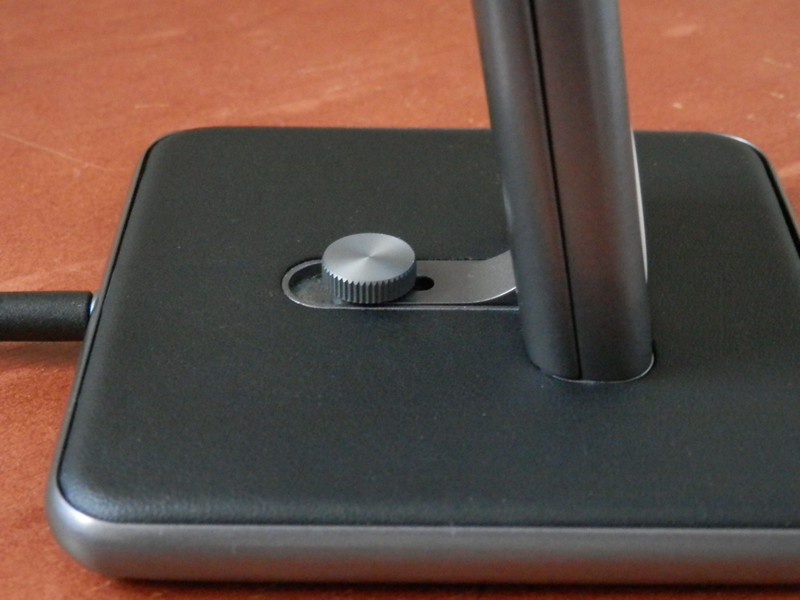 By loosening the screw on the base, you can slide the rear support forward or backward. 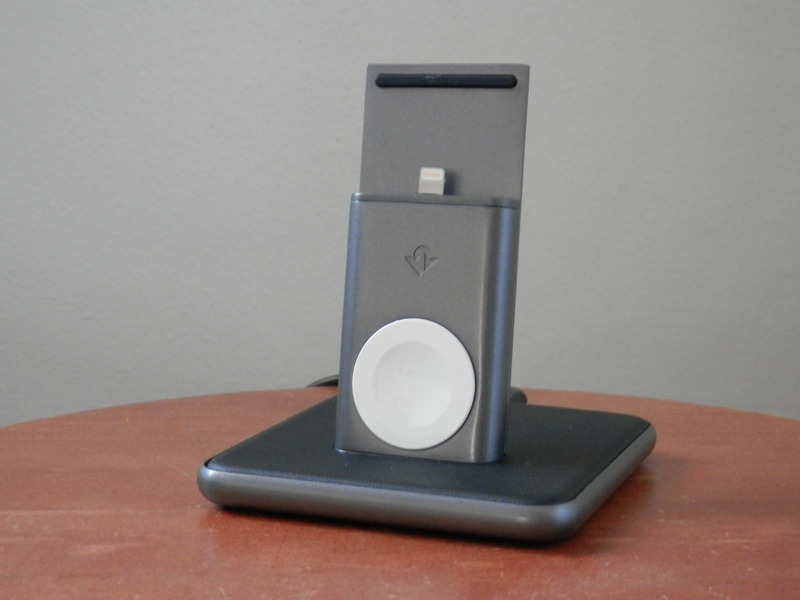 Rather than having to assemble the dock with a Lightning cable of your own, both the charging puck and Lightning tip are built into the dock itself, so you no longer have to put the dock together. This was one of the first things we noticed about the dock when taking it out of the box. An AC adapter is included, but it doesn’t use Lightning or Micro-USB to plug in. 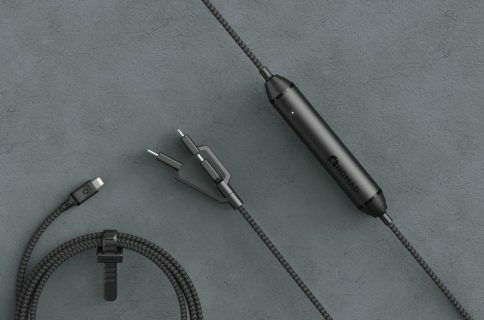 Instead, it uses a proprietary connector. This isn’t a huge issue, but it does mean you can’t use the dock to connect your iPhone to your Mac or PC and it’ll be harder to come across a replacement cable should your original one ever fail. It was a trade off worth making, as the fully enclosed base feels very premium in your hand. Since everything’s built into the base, and you don’t have to assemble anything like you do with the HiRise 2, it already feels very complete as soon as you pull it out of the box; all you have to do is plug it in. Thanks to an anti-slip grip on the bottom of the base, you don’t have to worry about your dock sliding around either. On the other hand, we do have to note that it’s still not as heavy as some other docks we’ve shown you, such as the one by Grovemade. Because of the lightweight construction, you have to pull down on the dock with one hand while you use the other to pull on your iPhone. Otherwise, you’re going to pick up the whole dock when you lift. You could call this a minor annoyance. 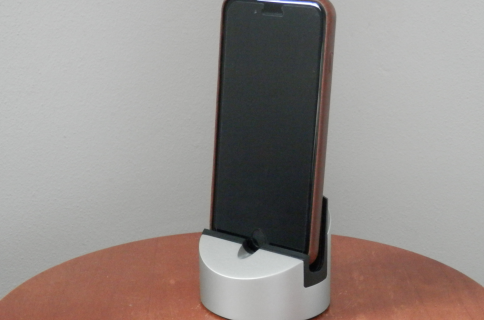 If you’re interested in grabbing a Twelve South HiRise Duet Dock for your iPhone and iPad, you can do so from Amazon for $120. 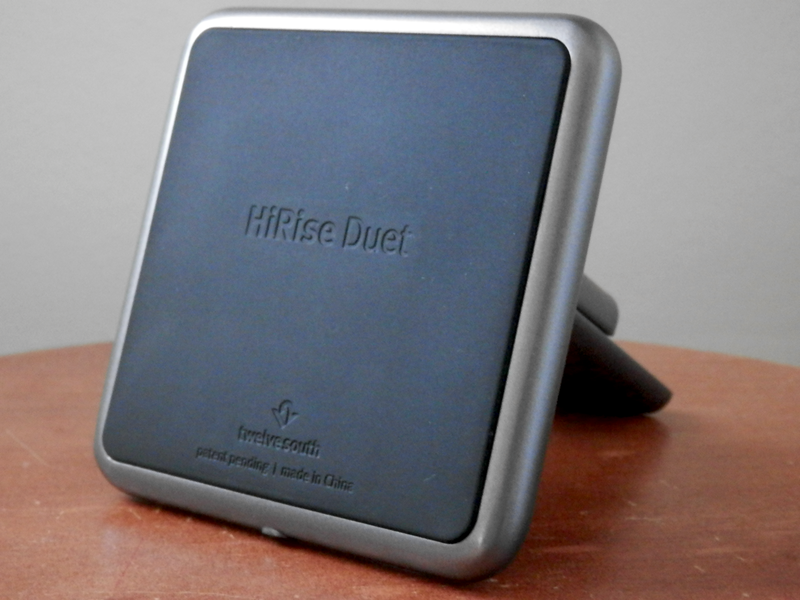 What are your thoughts on the HiRise Duet? Share in the comments!